Qualcomm has given quite a good performance in the mid-range segment with 600-series and 700-series chipsets in the past now The company has launched Snapdragon 665, Snapdragon 730 and Snapdragon 730G. These new mobile platforms have been specially designed for artificial intelligence, camera, and gaming And The SD730G is specially designed for the Midrange Gaming smartphones. 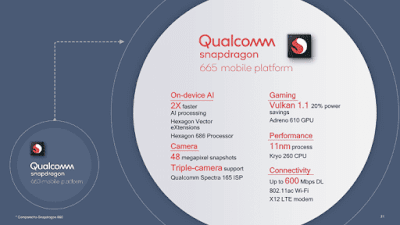 First of all, talk about Qualcomm's 600-series chipset SD665. 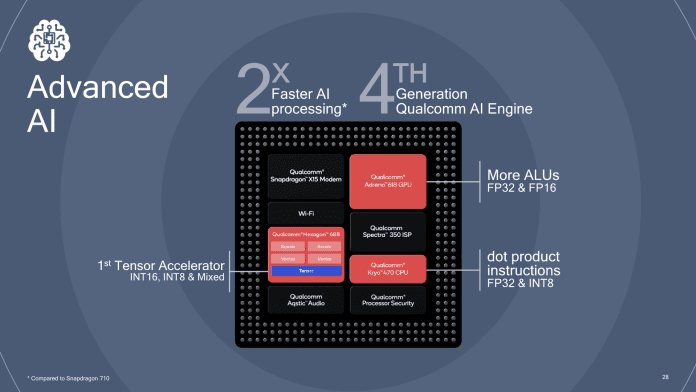 This 11nm FinFet process based chipset is an updated version of 660.This new chipset supports Qualcomm's third-generation AI engine, and the company has claimed that the AI task will be 2-times faster than the Snapdragon 660 chipset. Cpu: the Octa-Core Kryo 260 Design (4-cm Custom Cortex-A73 Core + 4-Cm Cortex-A53 Core) with 2.2 GHz Clockspeed is given. triple camera support supports 5x optical zoom and hybrid autofocus as well as up to 48MP super-resolution Also given in it. 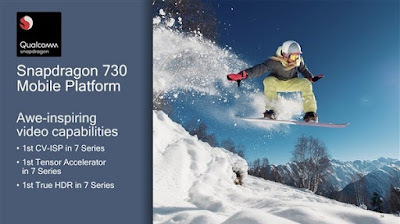 Snapdragon 730 an upgrade version of the SD710. Cpu: Kyro 470 CPU 2x Cortex-A76 Core + 6x Cortex-A55 Core. The company has claimed that this chipset will provide you 35% better CPU performance than the previous generation. 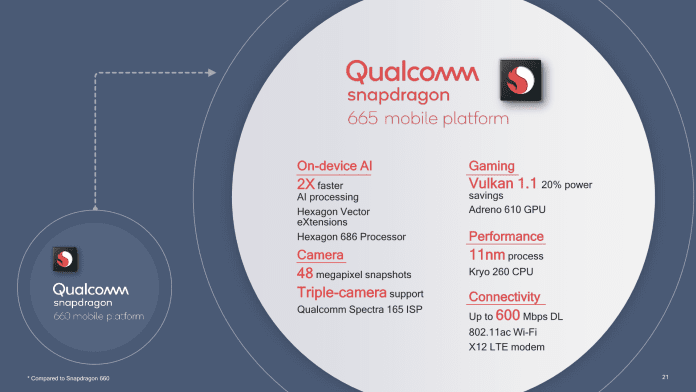 Snapdragon X15 modem support, Quick Charge 4+ support,48MP camera support with 960fps Slow-mo support, 4K HDR portrait mode, 3D face unlock and multi-frame noise reduction Also given in it. Another version of the SD730 is SD730G, which is especially present for gaming. This is Almost similar to the S730 chipset but gives up to 15% boost Compared standard S730 chipset. 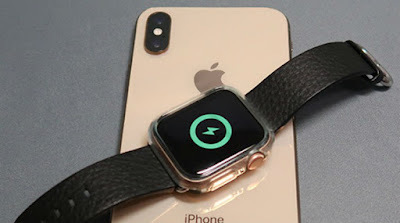 Along with this, elite gaming feature Is Also given in it like "Junk Reducer" which is capable of optimizing the device for some games and reducing the shutter and also supporting HDR gaming.